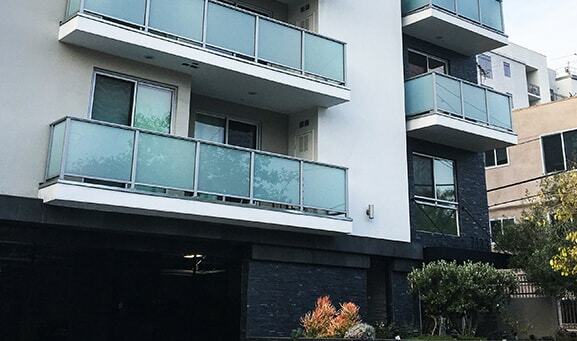 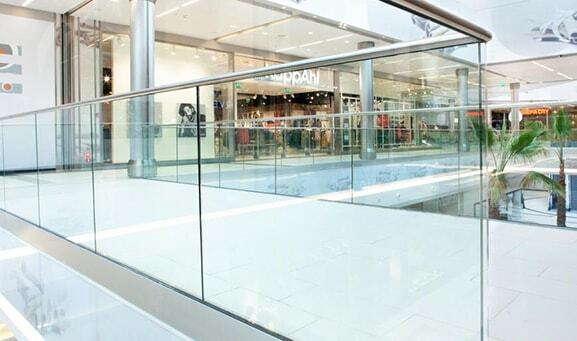 Our premium glass railings for commercial and residential properties. 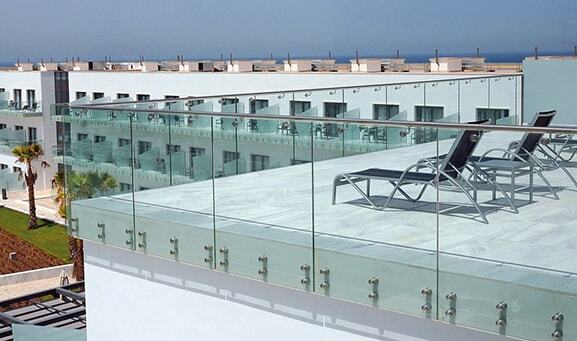 Glass railing systems are commonly utilized on decks, terraces and balconies. 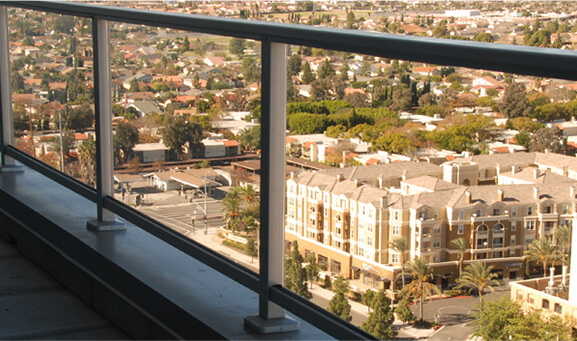 Our fall-prevention railings are engineered to meet guardrail code and built with tempered or laminated glass. 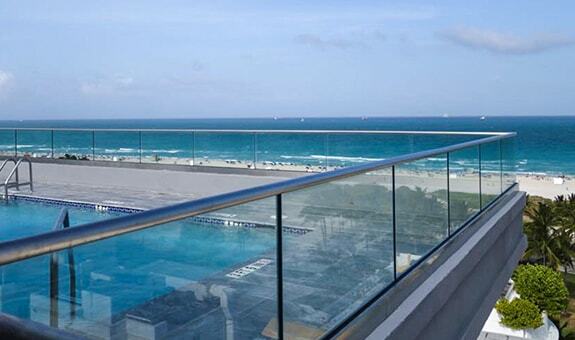 Perfect for new construction and renovation, Aquaview glass railings offer exclusive quality and security. 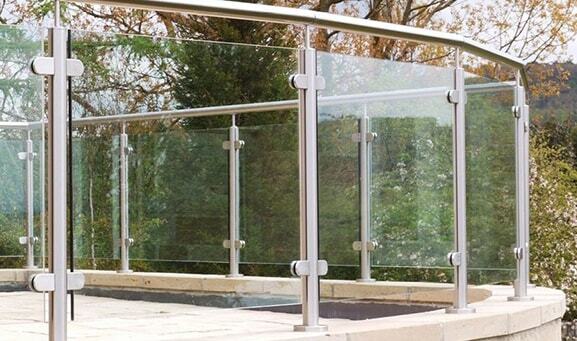 Glass railings have an elegant, modern look that adds value to your property. 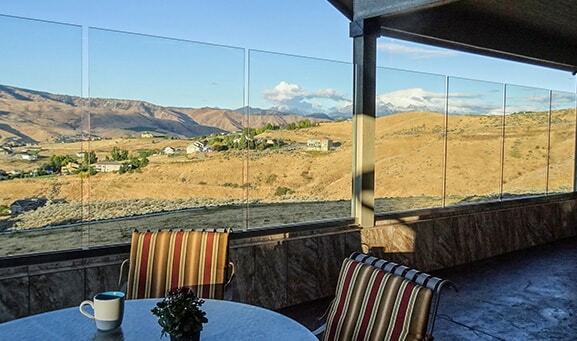 Our enclosures provide an excellent wind barrier without obstructing views. 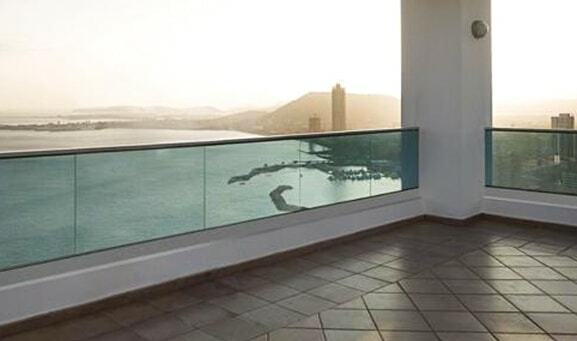 Suitable for both interior and exterior spaces, our glass railing systems add a unique touch to apartments, hotels, retail premises, and municipal facilities. 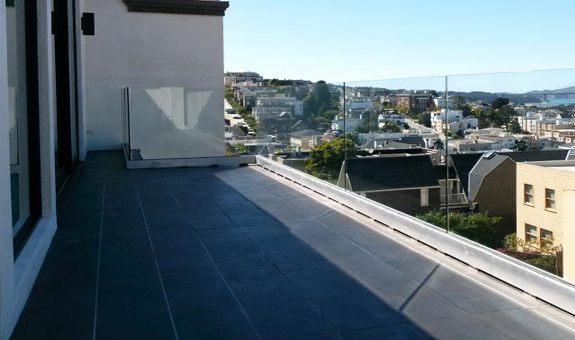 Our team is available to assist you with bids for commercial and residential projects. 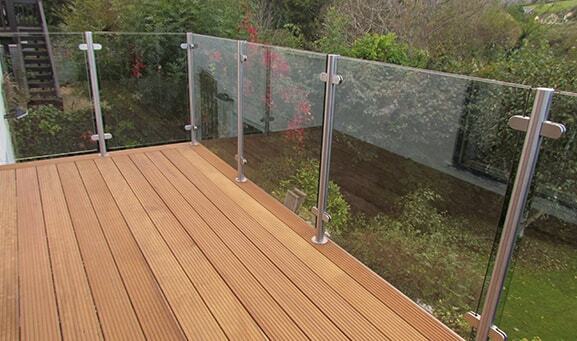 We provide competitive pricing along with detailed spec sheets to facilitate project approval. 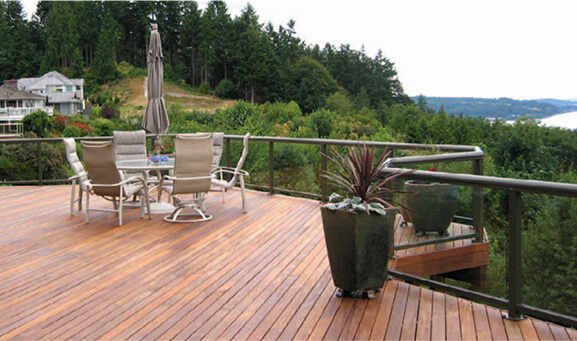 We have experience working with contractors, builders, designers, and architects on projects of all scopes and sizes. 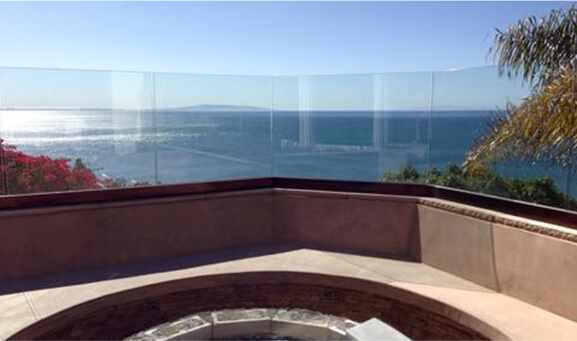 We at Aquaview have the ability to design, engineer, and fabricate a glass railing system that suits your specific needs. 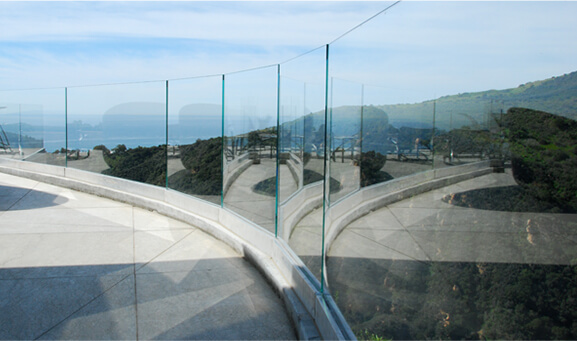 We can custom tailor glass, handrails and fittings to suit any architectural railing application. 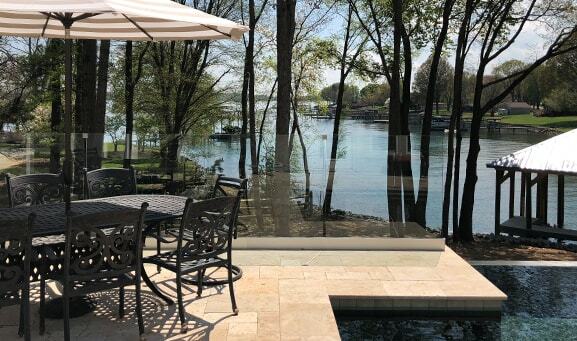 Contact us to discuss your project specifications today. 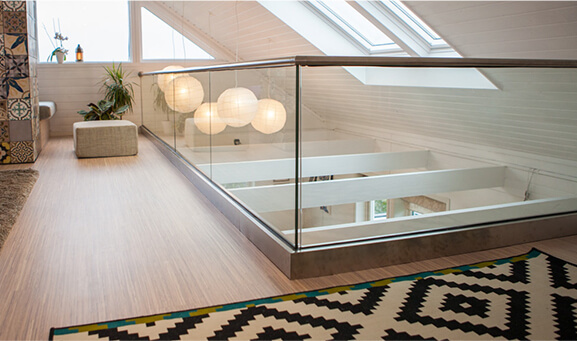 Aquaview's Fully Frameless Glass Railing System provides a seamless, minimal look to complement your property's aesthetic. 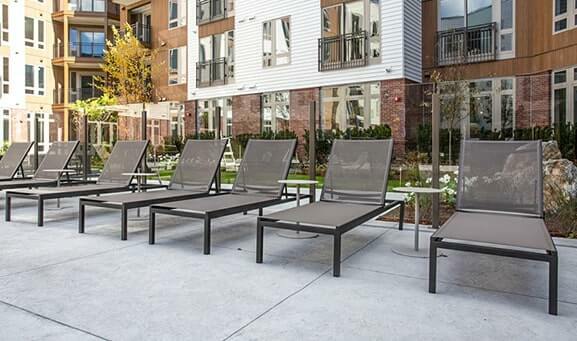 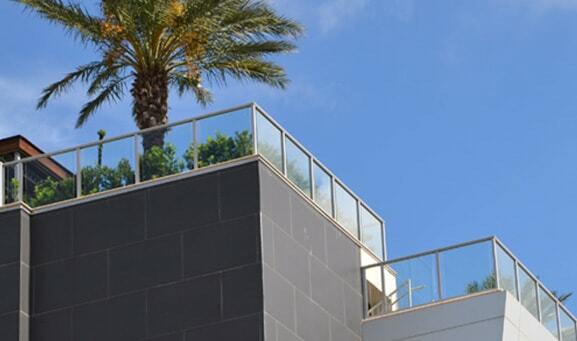 Our strongest system rated for high-wind zones and balconies, the Fully Frameless is engineered to fit a variety of applications from pool fencing to high-rise deck railings. 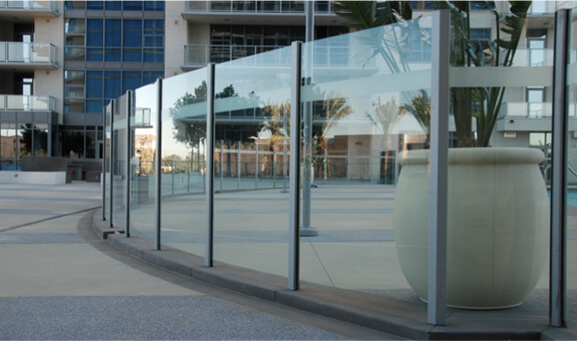 Custom system heights up to 60"
Base shoe can be surface or fascia mounted to a variety of substrates. 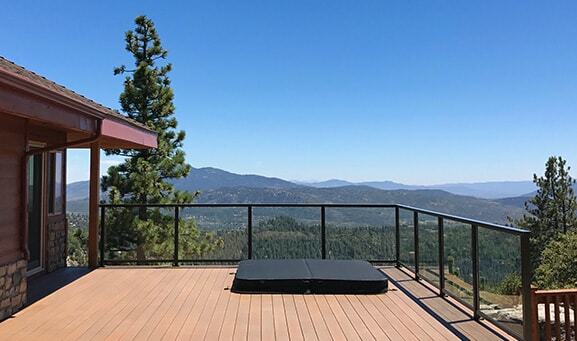 Mounting to wood may require additional hardware. 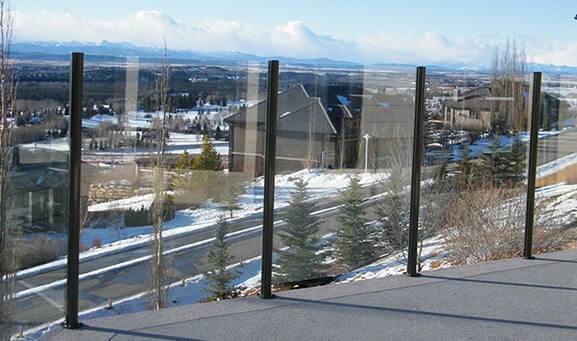 Our Aluminum Glass Windscreen System is designed to be a wind wall that is very aesthetically pleasing. 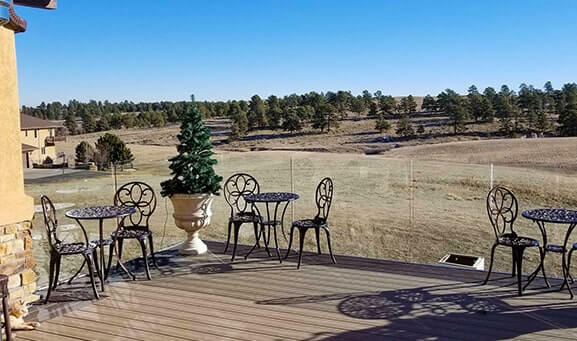 Due to the innovative design and steel stanchion insert, this system has enhanced structural properties, allowing for increased height capabilities up to 72" (our tallest system available). 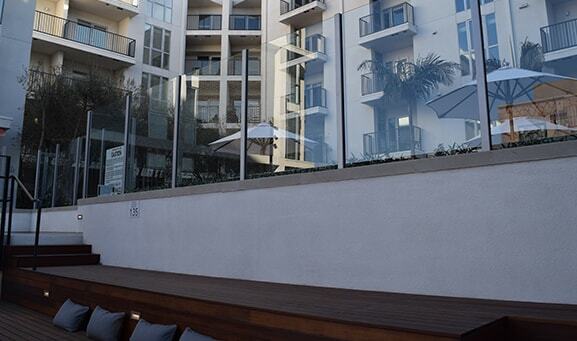 Our tallest system available: standard heights of 48", 60" and 72"
Aquaview's Aluminum Glass Railing System combines the strength of extruded aluminum and tempered safety glass with innovative design details. 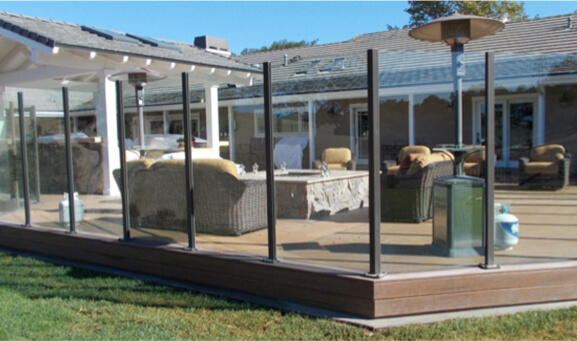 This assures long-term structural integrity, durability, weather resistance, and low maintenance. 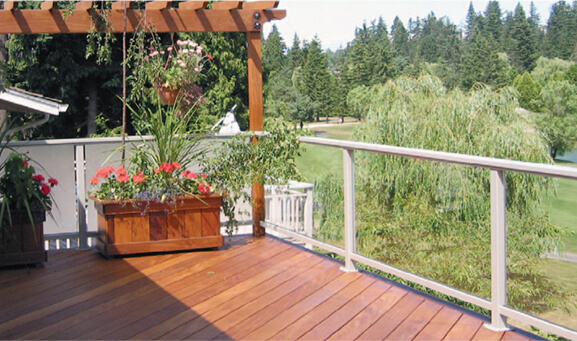 Our 200 series railing is engineered to meet applicable building code specifications. 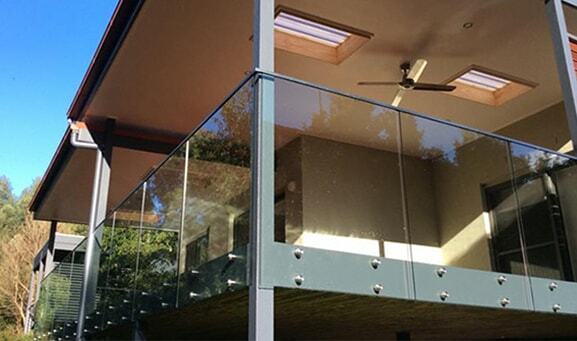 Standard system height of 42"
Aquaview's Standoff Glass Railing System gives a fresh, modern look to any property. 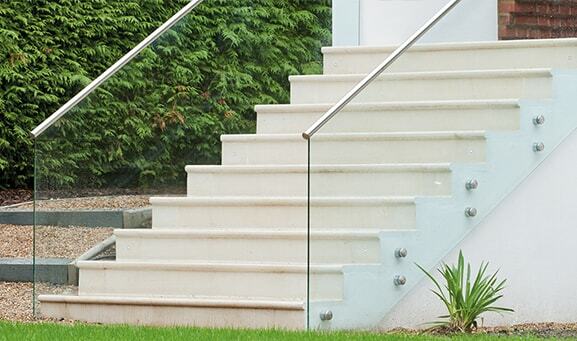 Well suited for guardrail and stair railing applications, our stainless steel glass adapters allow flush mounting of the glass to any concrete or metal substrate. 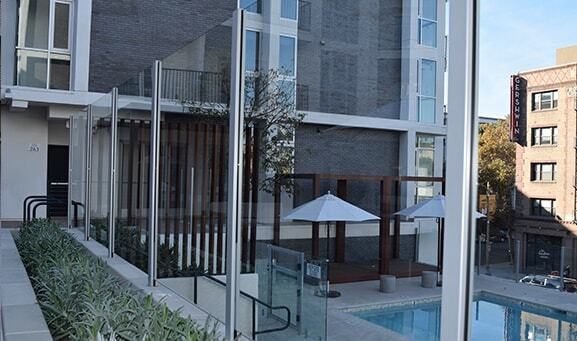 Our Stainless Steel Post Railing System is the ultimate in contemporary chic. 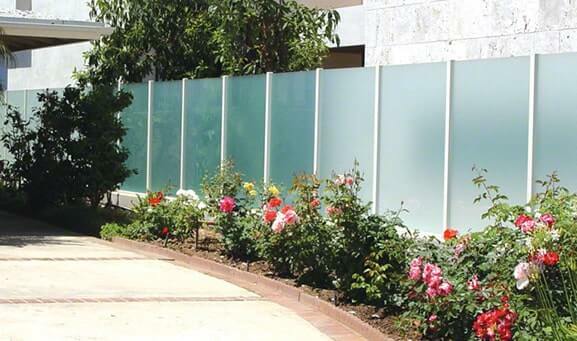 The sharp lines and corners will give your designs a sophisticated appearance. 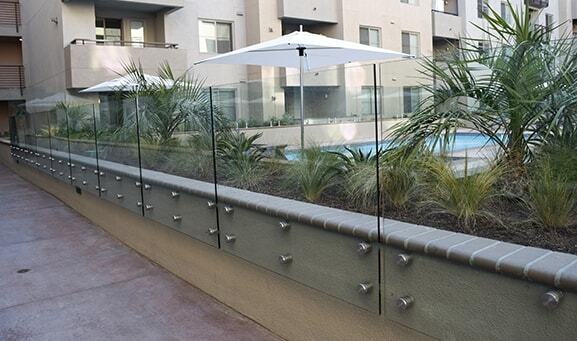 Perfect for residential and commercial guardrail applications. 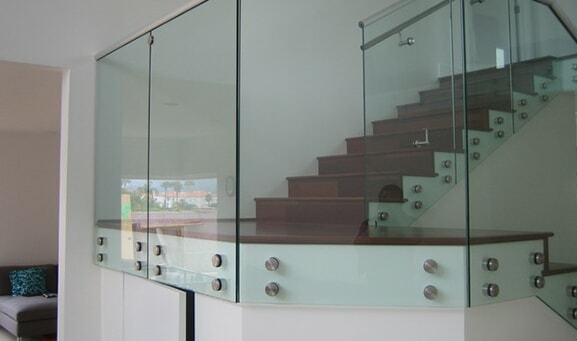 More glass railing systems and hardware available. 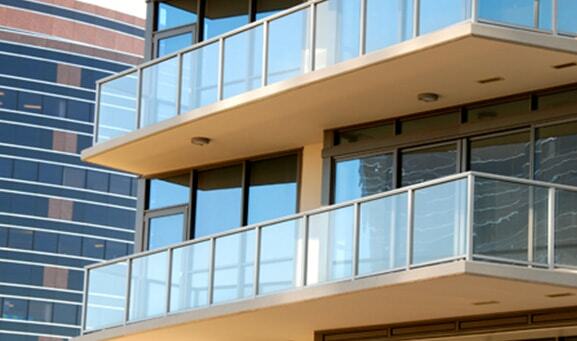 Our team is available to assist you. 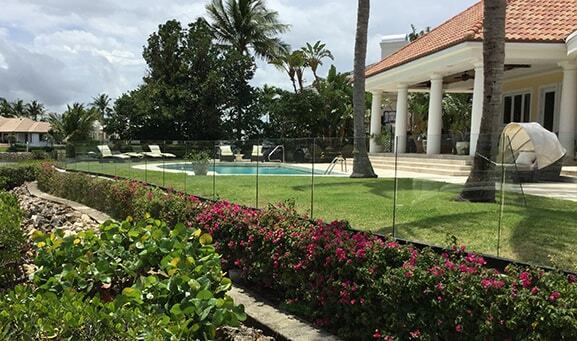 Call us 1-877-229-7034 or email sales@aquaviewfencing.com.